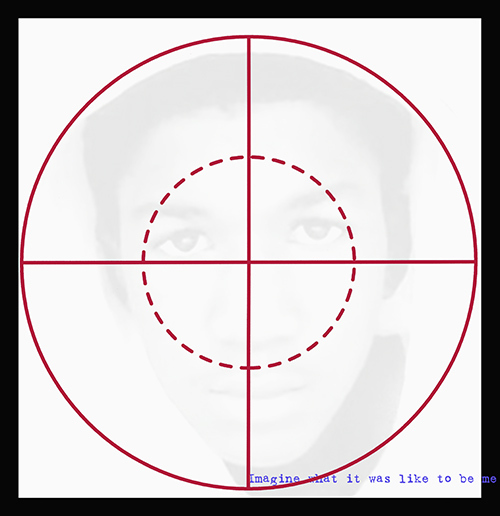 Imagine [Trayvon Martin], 2013. Digital PNG formatted image, 10.43" x 10.76" (26.49 cm x 27.33 cm), 300 dpi. Downloadable gratis HERE. Adrian Piper does not permit or approve the inclusion of her work in racially segregated exhibitions.